Kinder Morgan Canada shareholders voted overwhelmingly Thursday to approve the sale of the Trans Mountain pipeline and expansion to the Canadian government for $4.5 billion shortly after a ruling from the Federal Court of Appeal that scuttles Ottawa's approvals to build the contentious project. Kinder Morgan Canada shareholders voted overwhelmingly Thursday to approve the sale of the Trans Mountain pipeline and expansion project to the Canadian government for $4.5 billion. The vote came just 30 minutes after the Federal Court of Appeal quashed the federal government's approvals to build the massive project, handing a huge victory to Indigenous groups and environmentalists opposed to it. 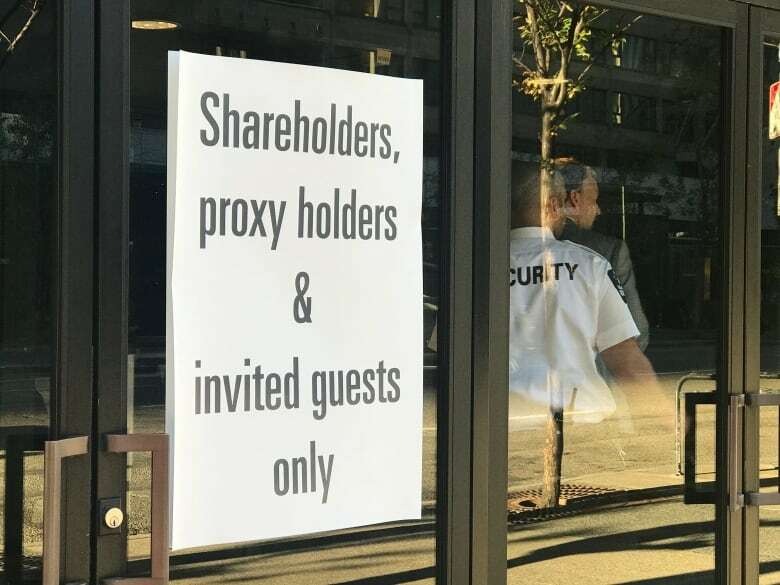 The company held a special meeting Thursday morning at a Calgary conference centre where shareholders voted by a 99.98 per cent margin to approve the proposed sale to the federal government. The brief meeting was chaired by the CEO of both Kinder Morgan Canada Inc., and its U.S. parent, Steven Kean. A short time later, the Calgary-based company issued a statement saying it is taking measures to suspend construction-related activities on the project, but that it remains committed to the project. A total of 324,578,862 shares were voted in person and by proxy at the meeting, representing almost 88 per cent of the shares entitled to vote, the company said in a release. Kinder Morgan Canada says both parties expect to close the transaction as early as Friday. On May 29, Ottawa announced it had struck a deal with Kinder Morgan Canada to purchase the Trans Mountain pipeline and related infrastructure for $4.5 billion — and would spend billions more to build the controversial expansion. The company had told the federal government it needed clarity on a path forward for the contentious project by May 31 or it would walk away from construction. In a decision written by Justice Eleanor Dawson, the court found that the National Energy Board's assessment of the project was so flawed that it should not have been relied on by the federal cabinet when it gave its final approval to proceed in November 2016. In its ruling, the court said that Canada's efforts to meaningfully consult with Indigenous people, as required by law, fell short. It also ruled that the National Energy Board (NEB) regulator wrongly narrowed its review of the project not to include tanker traffic related to the project. The ruling effectively halts construction of the 1,150-kilometre project indefinitely. Canada's energy sector slammed the ruling, with one industry association calling it a "devastating" decision that damages Canada's international reputation and another agreeing world investors would continue to look at Canada as a place that "can't get its act together." Kinder Morgan Canada president Ian Anderson says the company will work with Ottawa to determine what their next steps should be. "We remain committed to building this project in consideration of communities and the environment, with meaningful consultation with Indigenous Peoples and for the benefit of Canadians," he said. 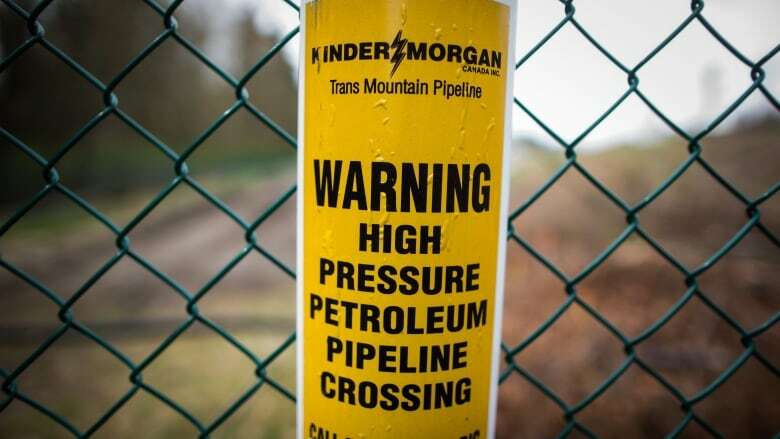 In July, Kinder Morgan Canada Ltd., said the actual price the federal government will pay for its Trans Mountain pipeline system and expansion project will be hundreds of millions of dollars less than the $4.5 billion it announced in May. In a regulatory filing with the U.S. Securities and Exchange Commission, the company says it estimates it will have to pay at least $325 million in capital gains taxes to the Canadian government when the deal is concluded. It said that reduced the "net price" to $4.175 billion. That filing was designed to advise Kinder Morgan Canada shareholders in advance of their vote on Thursday. An attached report from adviser TD Securities concluded that the deal as negotiated is fair for shareholders. ​​Read more articles by CBC Calgary, like us on Facebook for updates and subscribe to our CBC Calgary newsletter for the day's news at a glance​.